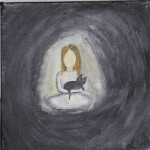 BOOKS STILL AVAILABLE: A limited number of copies are available of the Compassion Project book. The cost is $15, plus $5 per book for shipping/handling unless picked up at the LPEF offices or delivered through a school. For an order form, click here. 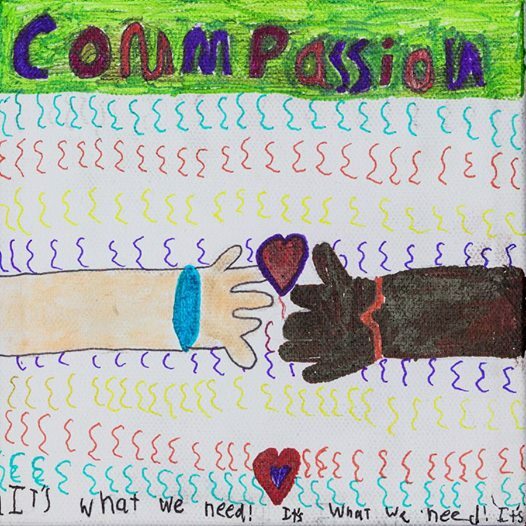 These five students (see their work and full comments at the bottom of this post) were among more than 6,000 children in the School District of La Crosse who participated in the La Crosse Compassion Project during the 2013-14 school year. 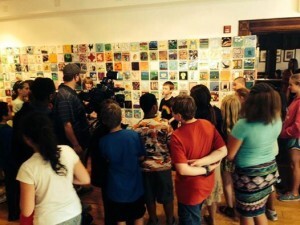 Spence Elementary School students visit the Compassion Project exhibit at the Pump House Regional Arts Center. 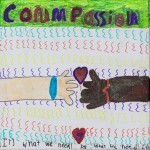 The project culminated in an eight-week exhibit at the Pump House Regional Arts Center where thousands of children, parents and community members enjoyed the collective view of how students visualize compassion. 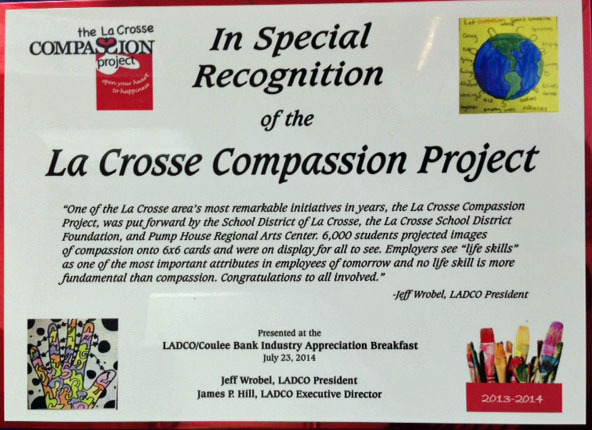 The Compassion Project was a joint effort of the La Crosse Public Education Foundation, the School District of La Crosse and the Pump House. 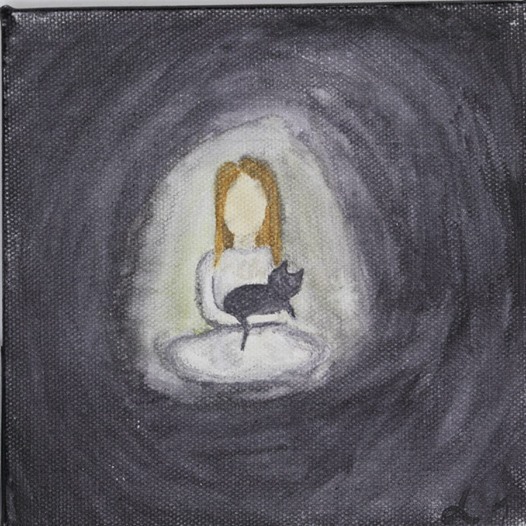 In fall 2013, participating students received a 6-inch-by-6-inch canvas art panel and were asked to draw or paint their idea of compassion. Additionally, students were asked to write a brief statement about their work. 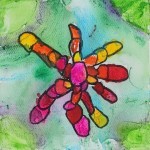 The project aspires to teach the practice of compassion through the use of art and writing. One district staff member involved in the project, Lincoln Middle School Counselor Rick Blasing, described his work with students in a moving column in the La Crosse Tribune. 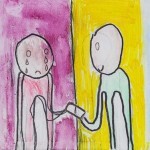 “Compassion is truly an equal opportunity emotion,” Rick wrote. 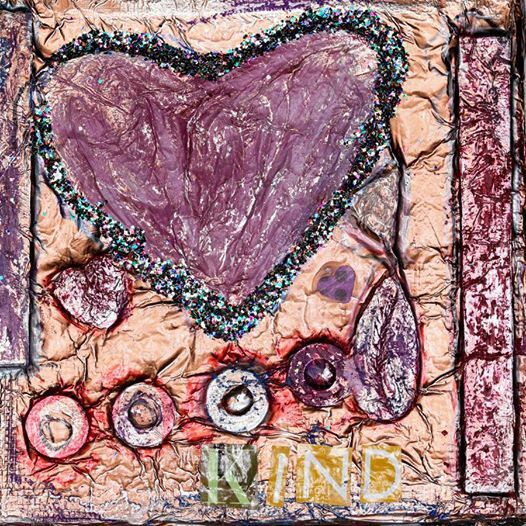 The inspiration behind the project came from Richard Davidson, Ph.D., a University of Wisconsin-Madison psychology and psychiatry professor and brain researcher who has scientifically found that those who practice compassion have measurably healthier brains, and generally, a happier outlook on life. Davidson’s ground-breaking research on healthy qualities of mind — such as kindness, compassion, altruism, forgiveness, mindfulness and well-being — is conducted through the Center for Investigating Healthy Minds at the Waisman Center at UW-Madison. 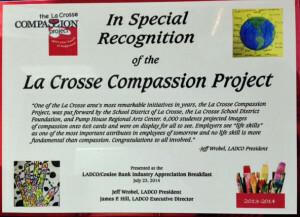 Dr. Davidson made a presentation June 2 as part of the La Crosse Compassion Project LIVE! event at Viterbo University. The evening was made possible through the cooperation of The Wisconsin Academy of Sciences, Arts and Letters and with additional support from the Robert and Eleanor Franke Foundation. 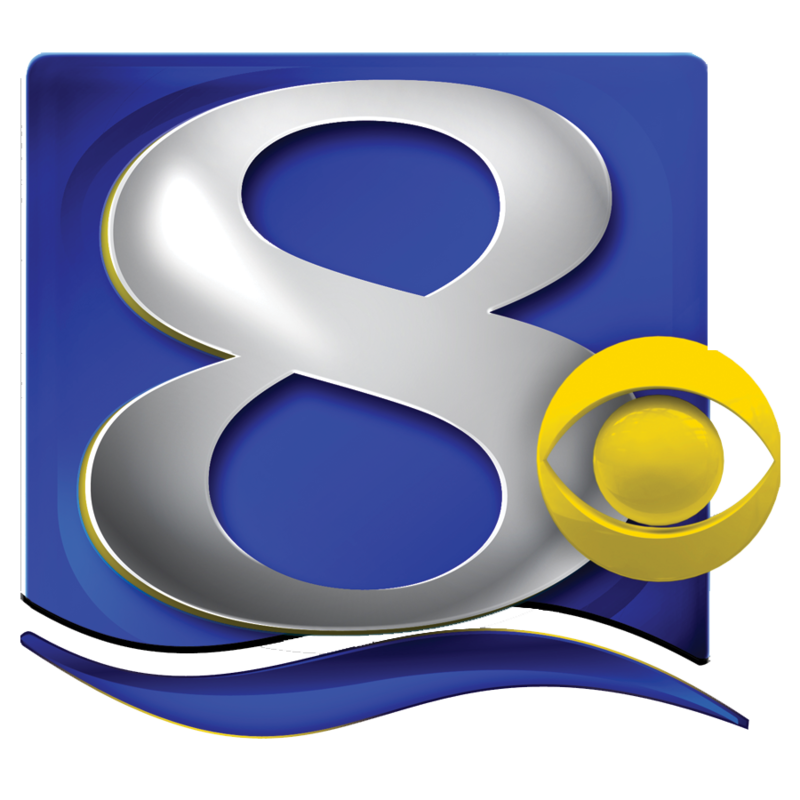 Check out a recording of the event here, courtesy of WKBT News 8000. During the event, this video of His Holiness the Dalai Lama was shown. In this recording, His Holiness responds to the Compassion Project “movement” in Wisconsin, which began with the Appleton Compassion Project in 2011. 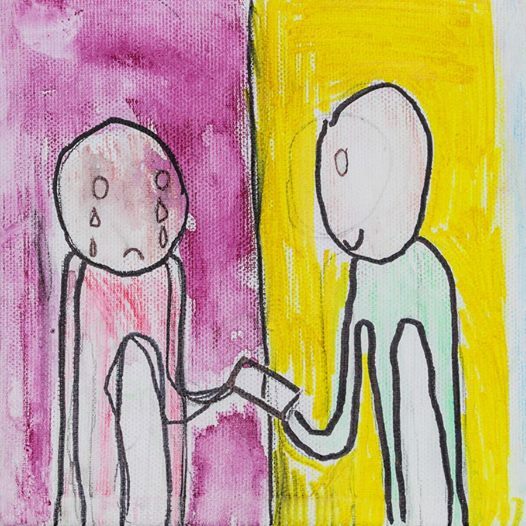 The La Crosse Compassion Project has generated tremendous community response, including extensive news coverage, particularly from the La Crosse Tribune and WKBT News 8000. WKBT built on the project by launching its own “pay it forward” campaign to inspire compassionate acts by recognizing people in the community who are making a difference. 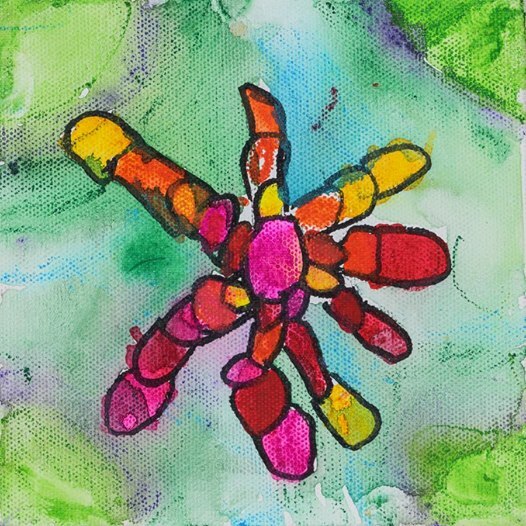 Due to the popularity of the exhibit, the La Crosse Public Education Foundation has created a small traveling exhibit of canvas tiles from students (whose parents have given permission to the Foundation to keep the canvases), plus some special tiles created by community members. In addition, some exhibits may include tiles created by children from Dubna, Russia, a sister city to La Crosse. This portion of the exhibit is made possible by support from the La Crosse Dubna Friendship Association. 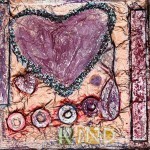 Follow the La Crosse Compassion Project on Facebook.